Istanbul, Turkey – The ruling Justice and Development (AK Party) has lost mayoral elections in the country’s three largest cities – Istanbul, Ankara and Izmir – in a stunning election setback for President Recep Tayyip Erdogan according to unofficial results published by state-run Anadolu Agency on Monday. The official results will be released after the country’s election board looks into objections by political parties, who have three days to file their complaints. The ruling AK Party, which ran as part of the People’s Alliance, suffered setback in Sunday’s local elections, which were held against the backdrop of Turkey’s first recession in a decade while its lira currency lost as much as 40 percent of its value against the US dollar last year. The race in Istanbul was particularly tight, with both AK Party and the CHP claiming victory in Istanbul’s mayoral election. “There have been complaints about certain ballot boxes. Legally, the party objecting should show a valid reason in doing so over each particular ballot box. Therefore, the number of boxes votes will be recounted in is limited,” he told Al Jazeera. 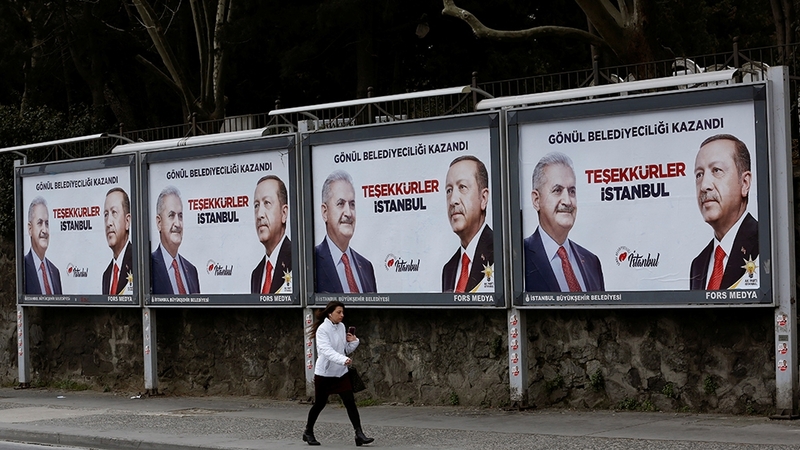 According to Galip Dalay, a visiting fellow at the University of Oxford, the results are not a mathematical loss for the AK Party, but they still would not be taken lightly by Erdogan’s bloc. “However, it is a psychological loss as it lost several major cities including the biggest three,” Dalay, who is also a non-resident fellow at Brookings Institution in Doha, told Al Jazeera. Ozgur Dilber, a CHP volunteer, said the results showed that the AK Party’s popularity was waning. “To me, the results are proof that the number of voters who want change is increasing,” he told Al Jazeera speaking on the election results on Sunday.